SHORTLISTED FOR THE BAILEY'S WOMEN'S PRIZE FOR FICTION `A delicious, important novel' The Times `Alert, alive and gripping' Independent `Some novels tell a great story and others make you change the way you look at the world. Americanah does both.' Guardian As teenagers in Lagos, Ifemelu and Obinze fall in love. Their Nigeria is under military dictatorship, and people are fleeing the country if they can. The self-assured Ifemelu departs for America. There she suffers defeats and triumphs, finds and loses relationships, all the while feeling the weight of something she never thought of back home: race. Obinze had hoped to join her, but post-9/11 America will not let him in, and he plunges into a dangerous, undocumented life in London. Thirteen years later, Obinze is a wealthy man in a newly democratic Nigeria, while Ifemelu has achieved success as a blogger. But after so long apart and so many changes, will they find the courage to meet again, face to face? 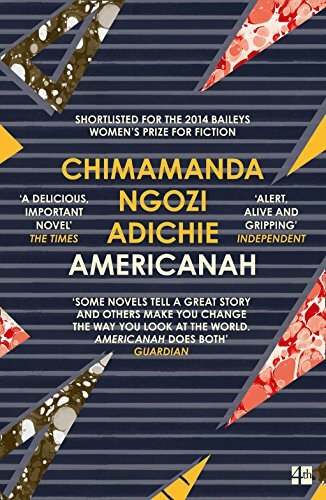 Fearless, gripping, spanning three continents and numerous lives, the National Book Critics Circle Award-winning `Americanah' is a richly told story of love and expectation set in today's globalized world.